Greetings! 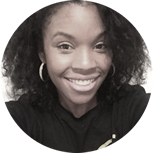 My name is Stephanie Parrott and I’m a Ghostwriter, Story Consultant, and Digital Content Creator. After 10 years in the entertainment industry (in front of and behind the camera) God steered me in a different direction that involves assisting everyone from business owners/entrepreneurs to everyday people with creating effective content and messaging for their brands and telling their life-transforming stories. Which brings me here to you today! Whether it be via books, blogs, digital video, or creating the perfect content for your website, I would love to assist you in crafting the right message to help bring your business and/or stories to life. Story Development/Consulting: When people ask me what story development and consulting is, I tell them it’s like two things: building a house from the ground up or renovating. Story Development is for the person who desires to tell their story but has no idea where or how to begin. I can help you structure and outline it from beginning to end. Story Consulting is for the person who has already created and written their story but feels they need help to add more detail, depth, and clarity to it. Content Editing: Sticking with the real estate analogy, Content Editing would be likened to putting the final interior decorating touches and curb appeal on that new home! This service is for the person whose story is already written but would love a critical and creative eye on their manuscript to spruce things up a bit! On-Camera Personality Coaching: If you’re someone who desires to use online video to create visibility around your brand but your on-camera presence could use a little help, I can help you with that. From the scripting of your dialogue to the cadence of your speech, I teach you how to communicate your message on-camera with clarity and brevity. Website Copy: This service is needed if you have a product or service that needs to be captured with the perfect description; Or, a seminar, webinar, speaking engagement, or coaching service to promote and you need the right words to call your potential customers to action. I also pen speeches and bios! For questions about my services, rates, or to set up a free consultation call, please feel free to email me at StephaniePWrites@gmail.com. I can’t wait to see what’s in store for your business and your voice for the remainder of 2018!